The Partner Visa (Subclass 820) allows the spouse or common-law partner of an Australian citizen or PR to live in Australia temporarily. The Partner Visa leads to the Permanent Partner Visa (Subclass 801). This is followed by a route to Australian Permanent Residency. 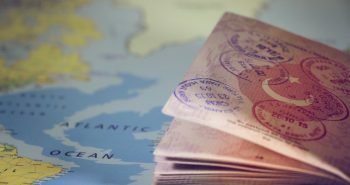 Australia grants around 50,000 partner visas every year. It is a complex process and requires a substantial amount of documents and some serious efforts to get a visa approval. Immigration experts confirm that the Partner Visa of Australia is a costly, complex, and time-taking affair. To speed up your Partner Visa application, you need to ensure you support your application with evidence and proper documents. A “decision-ready” application needs to be submitted with all relevant documents to get a fast and favorable outcome. The Partner Visa application is extremely costly and comes at a fee of $7,160. Submitting a decision-ready visa application ensures that the wait time is cut down considerably. The current processing time of Partner Visa applications is between 17 to 21 months, as per SBS. The sponsor should meet the character requirements of Australia. Also, the sponsor should not have sponsored anyone else in the recent 5 years. You should provide evidence that you are in a committed, long-term relationship. You may submit written statements of knowing each other’s families, their backgrounds etc. You should also submit proof of having joint financial liabilities. You may submit documents of bank accounts, savings, or investments. You also should provide proof of how you share household responsibilities. You may include utility bills, mortgage, lease agreements etc. You will also need to provide proof of how your social circle views you as a couple. You should be able to provide proof of joint activities, joint invitations, travel etc. The annual family migration program has 57,400 visa places allocated yearly. Partner Visas take up 47,825 places among them. Previous postThis new Australian Business Visa is different: Know how?